My original idea for the BIG BAD WOLF series was to offer teachers and students the opportunity to play duets. The accompanying backing tracks fill out the ensemble in a motivating, enjoyable way, whilst teaching students the discipline of rhythmic and harmonic structure. The two trombone parts are usually played subtly in the backing track just for reference and support. There are both treble and bass clef versions included here. Vol. 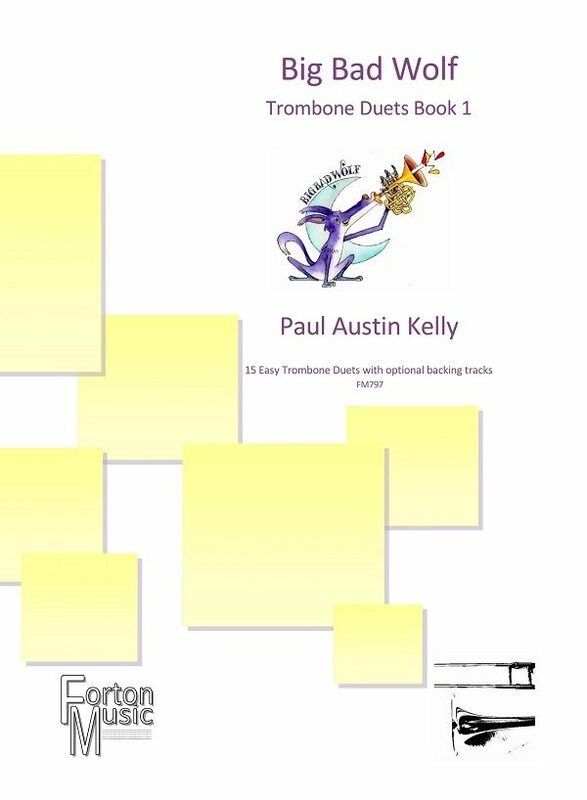 1 is for the beginning trombone player, and although the level of difficulty increases from the beginning to the end of the book, the student parts still more or less follow the ABRSM and Trinity College guidelines for Grades 1 & 2. 1. Where It Starts A repeated 8-bar phrase with a 2-bar intro made up of crotchets, minims and their associated rests, all within a range of a 6th. The teacher’s line is in a simple 3rds harmony and follows the direction of the student’s line. It’s accompanied by a funky bass and drum track that goes into double time on the repeat. 2. On Our Way A repeated 8-bar phrase with a 2-bar intro made up of crotchets, minims and their associated rests within a range of a 7th. 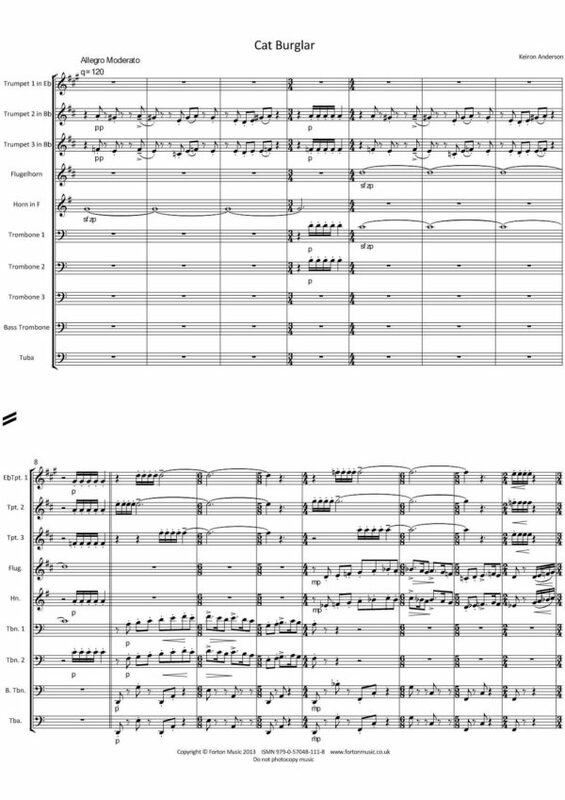 The teacher’s line here is slightly more varied than in the previous piece, and the harmonic line moves in both parallel and in contrary motion to the student’s line. Please note the use of accents. The accompanying track is funky bass and drums and has a double-time feel for its repeat. 3. Choices A repeated 8-bar phrase with a 2-bar intro made up of crotchets, minims, dotted minims and their associated rests within a range of a 7th. The teacher’s line moves both in parallel and in contrary motion to the student’s line. The backing track here features a gospel choir on the repeat. 4. Lazy Straw A repeated 8-bar melody with a 2-bar intro, the student part is a bit more adventurous in tempo, and the teacher part features moving quaver lines. The student must get used to playing one line whilst hearing a second line with a different rhythm. Please note the use of slurs here. The backing accompaniment with electric guitar features a double-time rhythm on the repeat. 5. Stacking Sticks This 16-bar composition with a 2-bar intro features quavers for the first time in the student part. The two parts move in parallel and in contrary motion for the first half, with an overlapping call and response for the second. The range for the student is now a minor 7th.. Please note the use of slur and staccato patterns. The backing arrangement is a slightly more languorous tempo featuring guitars, bass and drums, and synth instruments playing the trombone parts for reference. 6. Firm Foundations In this slightly more complex composition, the student replies to an opening musical idea from the teacher, joining in after an initial quaver rest. In the final 4 bars the roles are reversed–the student takes the lead and the teacher follows. Please note the introduction of staccato notes. 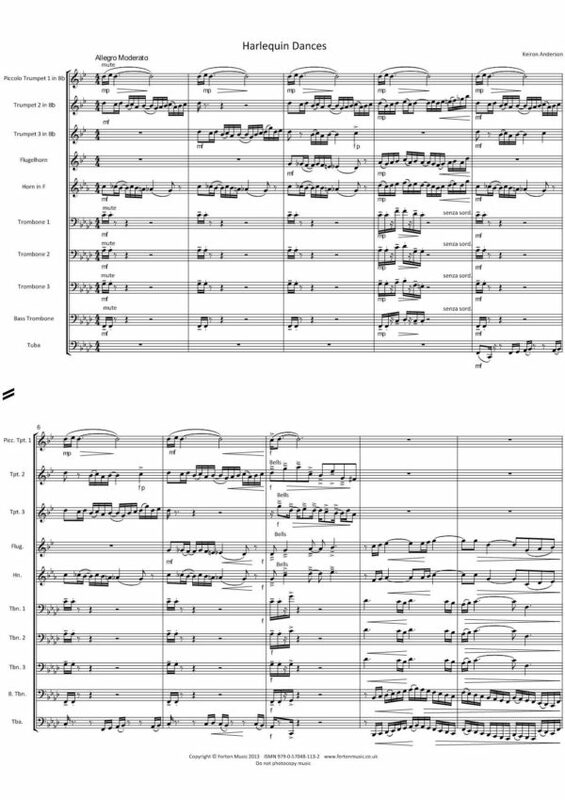 The backing arrangement is piano, bass, drums and synth instruments playing the trombone parts. 7. Brick on Brick This is a repeated 16-bar waltz with a 4-bar intro. The student’s melody is more continuous now with dotted crotchet and quaver rhythms. There are 4-bar legato phrases and the range is a full octave. The teacher part mostly follows the student’s melody line a major 3rd above. Please note the use of first and second ending construction. The backing arrangement is piano, organ, bass and drums. 8. Who Are You? This is a gospel-tinged call and response where the student takes the lead. 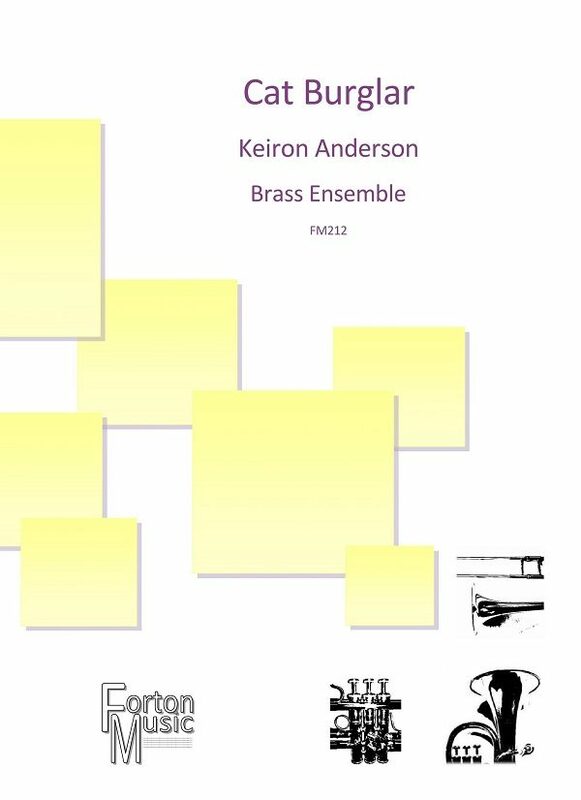 This 24-bar piece includes a 4-bar intro and features frequent use of syncopated rhythm patterns. Please note the use of quavers tied over the bar. The backing arrangement is electric piano, bass and drums with the drums taking frequent solo breaks. 9. 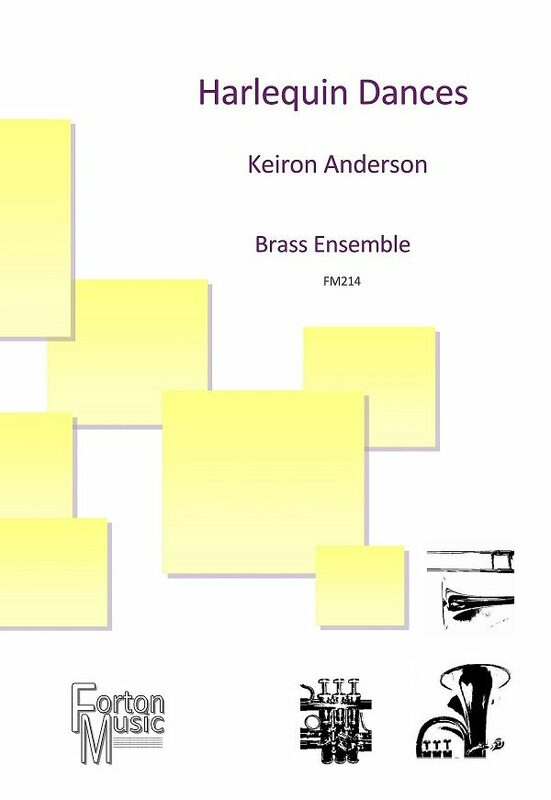 A New Friend A 24-bar minuet including a 4-bar intro, this is much more classical in style and introduces the use of dotted quaver followed by semi-quaver rhythms. The range is a full 9th, and the backing accompaniment is a simple piano arrangement. 10. I’ll Huff This 23-bar minor groove has a first and second ending. The rhythms are of increasing complexity, and the range is now a 10th. Syncopated patterns are notated with both tied quavers as well as quaver-crotchet-quaver notation. The backing arrangement is electric piano, bass and drums. 11. Two Gone This slower composition in 2/4 time features three different 8-bar repeated phrases. Stamina now becomes more important in these longer compositions which utilise the full range of notes. The backing arrangement is 2 acoustic guitars, bass, drums and synth instruments playing the trombone lines. 12. Let Me Take You to the Fair In this bouncy up-tempo number, the student part is actually an easy accompaniment to the more difficult teacher melody. Students who can play the previous duets with ease should now have a go at learning this teacher part as well. Although the range here is greater, the rhythms and notations have all been presented in previous duets. The backing accompaniment is synth, bass, drums and percussion. 13. A Question of Time A composition in a minor key using a 6/8 time signature, this piece features a student part that moves in dotted crotchets and running quavers, while the teacher plays a more complex syncopated rhythmic motif above it. Here too, more adventurous students should try tackling the teacher part once they’ve mastered their own. The backing track uses electric piano, bass, drums and synth lines that follow the trombone parts for reference. 14. Drop in for Dinner This slow 4/4 composition with an ABA structure is a real exercise in ensemble playing. In the A section, the student plays a quaver triplet melody while the teacher plays a harmony line a major 3rd above. In the B section, the student continues with 4 bars of melody and the teacher supports from below. The return of the A section is in unison. Breath control and legato playing is of the utmost importance here. The backing part is guitar, ukulele, bass and marimba, with a bit of birdsong for atmosphere. 15. Swing It Volume 1 ends with a lively up-tempo 32-bar Latin-tinged dance number. In a bright major key, the syncopated student melody line is harmonised both in 3rds and in 6ths in the teacher part. 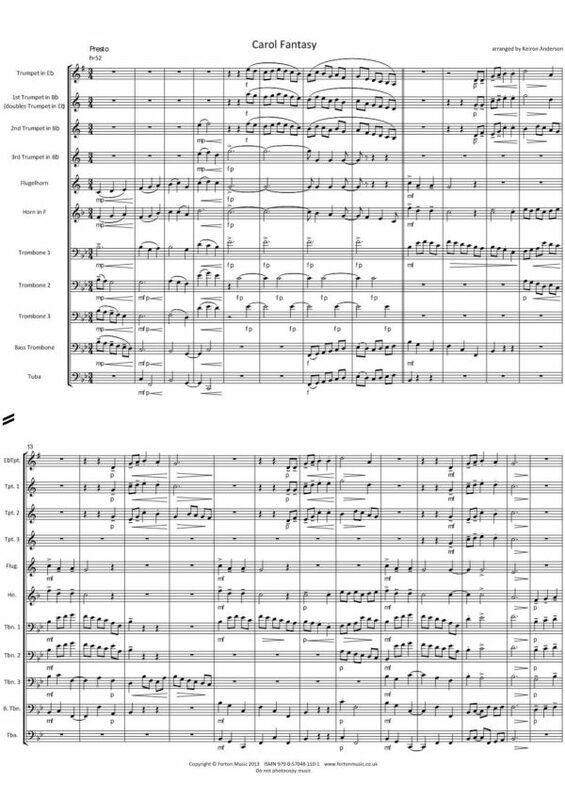 The structure is a pattern of 2 bars of trombones followed by 2 bars of backing instruments repeated throughout. Please note the use of staccato notes followed by accented notes throughout. Many students will be able to play both parts here. The backing track is acoustic guitars, marimba, bass, drums and percussion.